Please read the General Disclaimer before making a purchase. Thank you. *All passes/tickets/vouchers/booths, etc. are non-refundable. All policies, disclaimers, and conditions are considered reviewed and accepted once payment is made. 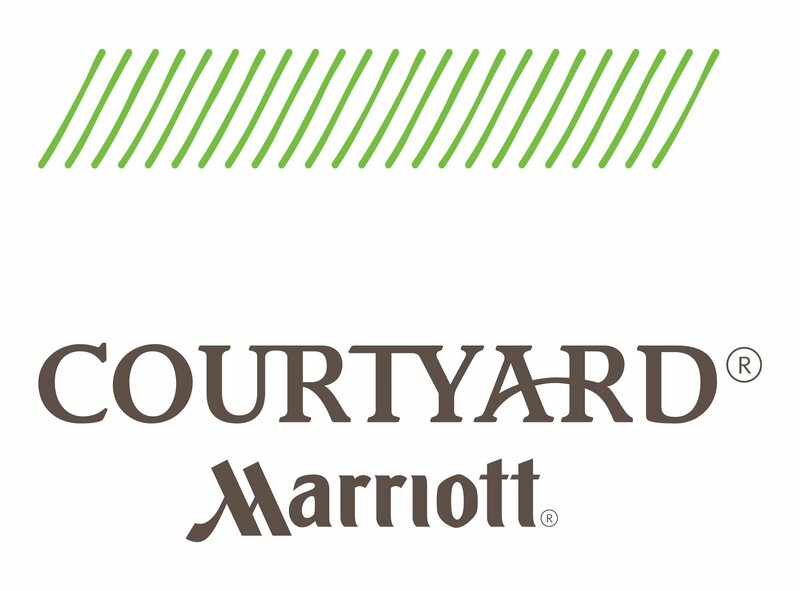 Please see our “General Disclaimers & Policies”, “Vendor Policies, Disclaimers, & Conditions”, and refer to our F.A.Q. before making your purchases. 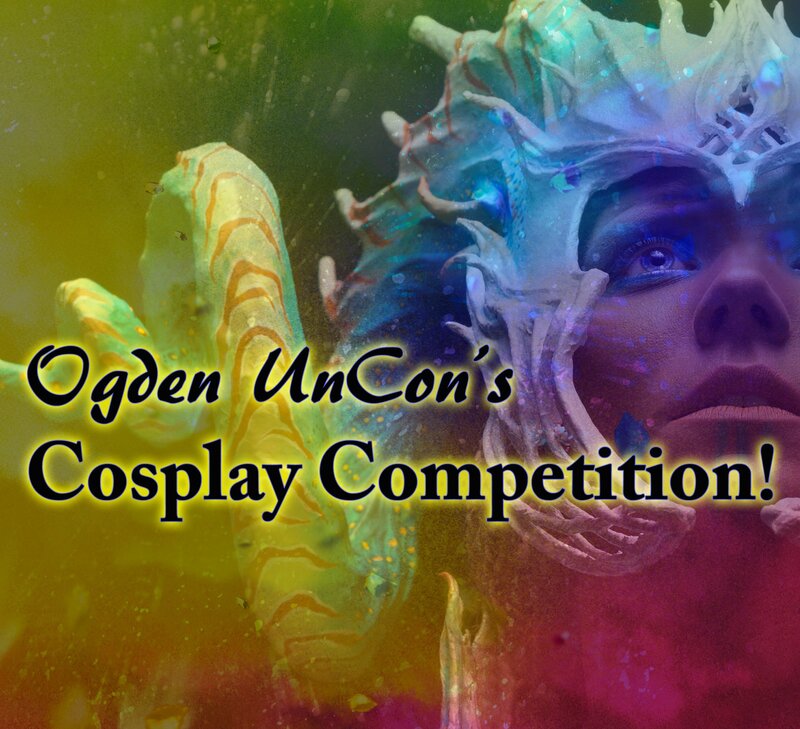 Ogden UnCon encourages attendees, vendors, staff, and guests to broadcast and post pictures of their adventures at the convention via any social media platform of their choosing. This means by participating in Ogden UnCon you acknowledge that you may be shown in others’ broadcasts and pictures on social media. If you are being made to feel uncomfortable by any broadcast or pictures taken, let the broadcaster or photographer know you would like them to stop. If the broadcaster or photographer persists after requested to stop, their actions violate our Harassment Policy and you should immediately report the incident to any Ogden UnCon personnel so that adequate action can be taken against the harasser. 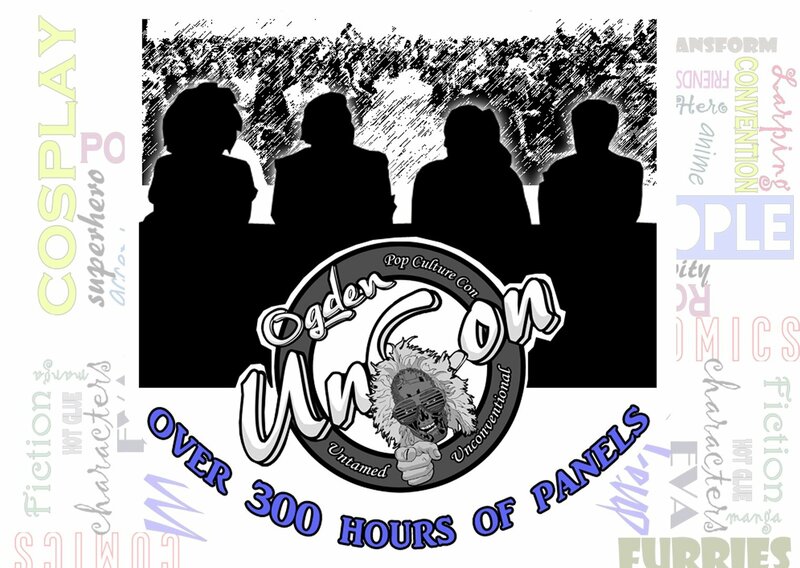 While Ogden UnCon is open to attendees of all ages, there are a few panels, special events, and workshops that are either too technical or may be inappropriate for children under certain ages. For example, the burlesque show is only for those age 18+ and the SFX makeup workshop is considered too technical for those under the age of 12. 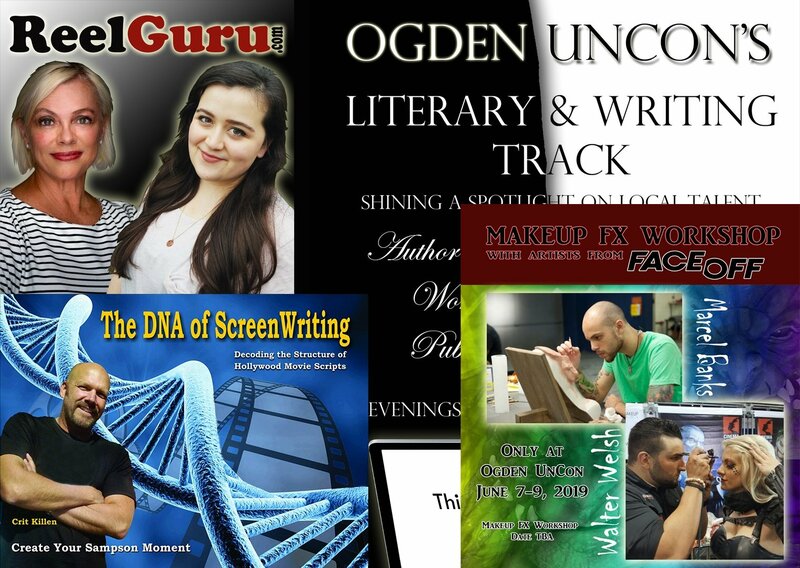 These are only examples of what panels, special events, and workshops may have age limits. Our “Content” page will have schedules for panels, special events, and workshops as the convention draws closer. Anything that has an age restriction will be indicated on the schedules. We value everyone’s safety and comfort at Ogden UnCon and we welcome everyone, regardless of their social status, sexual orientation, gender, gender identity and expression, religion, marital status, veteran status, political affiliation, disability, body size, physical appearance, race, age, or fandom of choice. As such, harassing and offensive behavior will not be tolerated. Harassing and offensive behavior can include, but is not limited to: annoyance, stalking, shoving/pushing, verbally or physically threatening, unwelcome attentions (excessive comments on appearance, touching, hugging, spanking, etc. ), religious, ethnic, or racial slurs, sexually explicit language or conduct. If you feel you have been harassed, you must report it immediately by contacting any of our staff, volunteers, or security team. We are unable to help if we are not made aware of the situation. If you feel you or anyone else is in imminent danger, you should contact the police via 9-1-1. REMEMBER: “Stop!” means STOP. – “No!” means NO. – “Go away!” means GO AWAY. As a side note, it is important to acknowledge that misunderstandings do happen from time to time. If you’ve made it clear you are offended and someone sincerely apologizes for an inadvertent offense, acknowledge the apology and allow them to move on. Do not persist in yelling at them or pursuing them or you could become the harasser. Their apology and your acknowledgement will not excuse them from the harassment policy but can help diffuse the situation in the case of a sincere accidental offense. 1. Regular admission passes/tickets do not include entry to events (ex: the burlesque show) or workshops (ex: SFX makeup) and must be purchased separately. 2. $10 service charge is added for every admission pass/ticket sold at the door. 3. We are not mailing tickets prior to the event, we recommend not purchasing from 3rd party sellers as the pass/ticket may be fraudulent. 4. No passes/tickets are guaranteed admission to panels; VIPs are admitted first. 5. Celebrity and event schedules are subject to change. 6. Certain panels, special events, and workshops have an age limit. 7. All passes/tickets/vouchers/booths, etc. are non-refundable. All policies, disclaimers, and conditions are considered reviewed and accepted once payment is made. Please see our “General Disclaimers & Policies”, “Vendor Policies, Disclaimers, & Conditions”, and refer to our F.A.Q. before making your purchases. 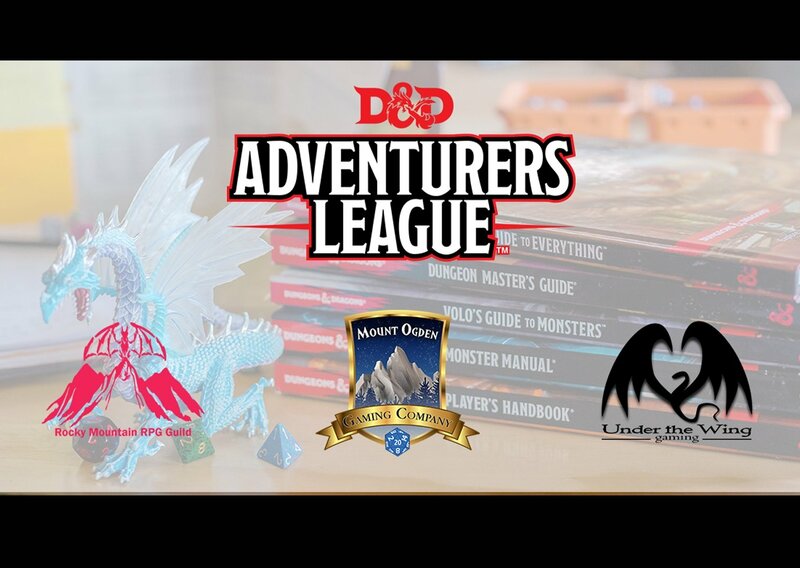 We invite you to read over our FAQ page before submitting any question. If you still have questions, please contact us.